If you are heading to your Cabin for the weekend or just want to spend some time in the wintry nature, WAP’s are the perfect tool to fulfill your needs. Easy to carry, simple to ski and climb with flotation. WAP is a whole lot more than just a new alternative in the world of snowshoeing - try them and discover the difference. OAC WAP 127UC links short hunting skis and snowshoes in a brilliant new way. 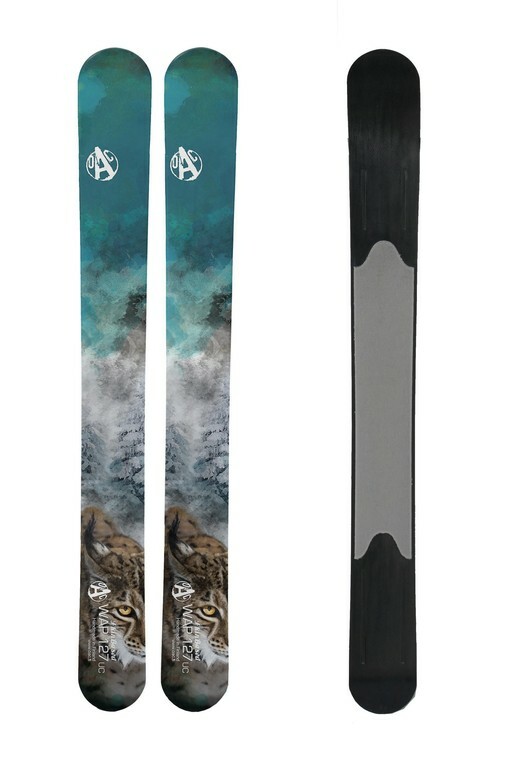 A really short, wide and slightly cambered ski with an integrated skin base is ideal for all sorts of backcountry activities. WAP is the widest ski in our range and has a good floatation in deep snow. Due to their short length and low weight they are super easy to take with you and pack to your car’s trunk or store close to your front door. The shape of the skin and the grooves at the glide base improve directional stability. Integrated high quality synthetic skin offers good grip for the ascent and solves all your waxing problems for good. The skin is recessed to our new Unicoat ski base. The use of latest composite materials, manufacturing methods and extensive field testing has resulted in this tough and easy to maintain base. WAP provides you with tons of brilliant fun in all kinds of terrain, whether you are heading to the nearest hill or want to keep fit by skiing at the forest close by. WAP is the answer to your needs as it is very agile for exploring the woods and gives you a stable ride while sliding down the hill. It is also a perfect choice for hunters and pro¬fessionals alike.